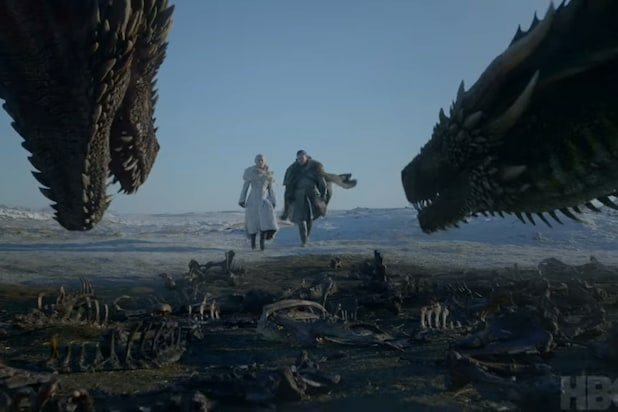 The trailer for “Game of Thrones’s” eighth and final season made its long-awaited debut Tuesday morning, giving fans over two minutes’ worth of new info to unpack and obsess over until the series returns next month. And since we at TheWrap have already started that process, we thought we might as well bring you along for the ride. Here are our top takeaways from the trailer. The video makes good use of its runtime, packing in at least a quick shot of almost every key character who is still alive come Season 8. This includes Arya Stark, Daenerys Targaryen, Jon Snow, Cersei Lannister, Jaime Lannister, Tyrion Lannister, Sansa Stark, Bran Stark, Brienne of Tarth, Davos Seaworth, Jorah Mormont, Grey Worm, Missandei, Samwell Tarly, Podrick Payne, Gendry, Lord Varys and The Hound. Hey, remember how that group of dudes went past the wall to retrieve one of the undead people last season to prove to everyone down south that things are about to get really, really bad? Well, most of those folks ended up at Eastwatch-by-the-Sea and got a front row seat when the Night King blew a hole in the Wall with his new ice dragon. Fortunately, it looks like these heroes were not crushed by falling rocks when that happened. Nowhere to be seen — and we watched many times. No Euron and no Theon or Yara, either. When you have an episode in your final batch that includes what is apparently the longest battle sequence in television history and took 11 weeks’ worth of night shoots to complete, then, of course, you are gonna feature bits of it in the trailer — we just didn’t expect to see this much of it. 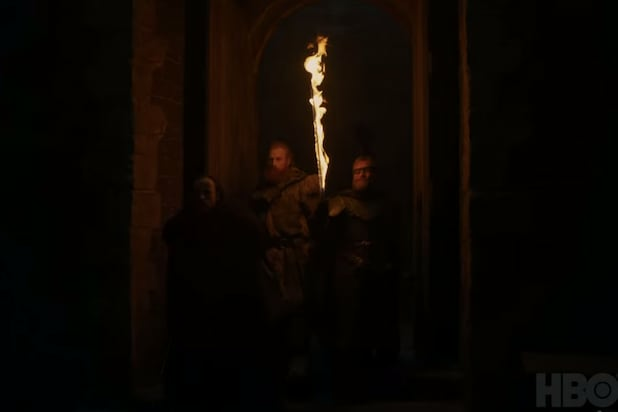 Shots that definitely appear to be from the great fight between the citizens of the Seven Kingdoms and the Night King’s army open the trailer (Arya running for her life in the dark halls of Winterfell) and close the trailer (Brienne of Tarth, Podrick and Jorah waiting in a line with Grey Worm and the other Unsullied, as the Night King and his soldiers approach. Or at least we assume they do, from that shot of the dead horse’s hooves and the look of fear on our heroes’ faces). And then there are tons of quick shots of the fight mixed into the rest of the trailer. 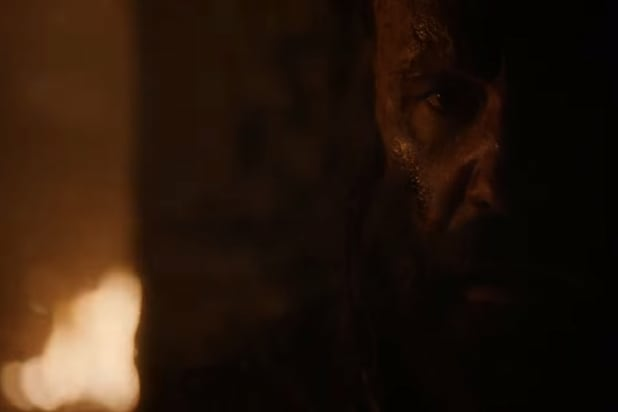 So, yeah, there’s that one very conspicuous close-up shot of The Hound’s face with flames in the background. The Hound, as we know, hates fire because his brother shoved his face in a hearth when they were kids. The implications of the inclusion of this shot feel pretty clear — ole Sandor Clegane is going to have to overcome that trauma as we reach the end of this story. 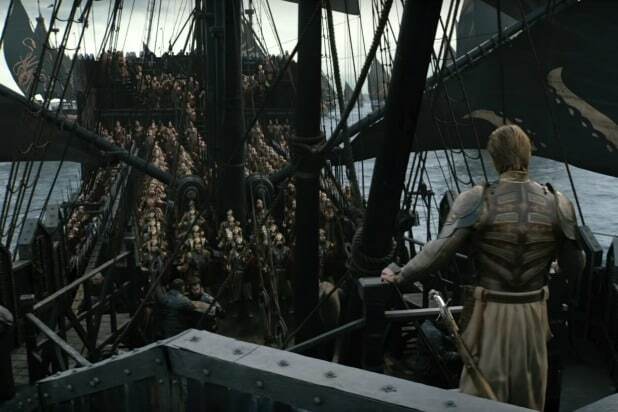 7. Who is that guy standing on the Greyjoys boat? It’s definitely not Euron. It kinda looked like a young Jaime, but he definitely doesn’t have a gold hand and that is not Jaime’s sword on his hip. We assume this is a new character, rather than someone we know — maybe a member of the Golden Company that Euron went to Essos to fetch at the end of season 7? While there are plenty of familiar faces in the trailer, there are definitely a few people who are puzzling us right now. Along with the guy on the boat, there are the two figures seen standing before Cersei on the Iron Throne. She has Qyburn on her left and The Mountain on her right, and there is someone standing in front of her facing away and someone looking at her and we haven’t a clue.